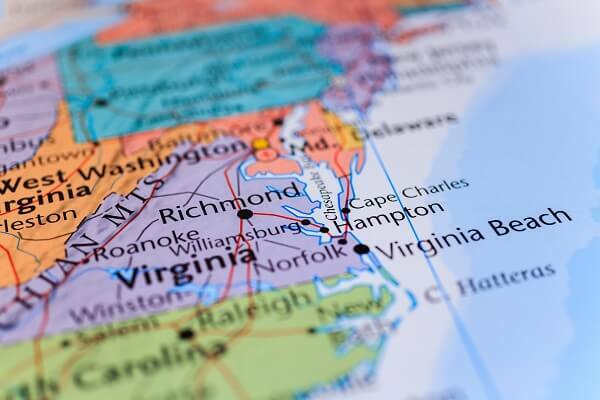 An allegation of health care fraud can have dire consequences on an Alexandria, Virginia provider’s practice if not handled effectively and timely. Health care fraud investigations can result in license revocations, fines and possible prison time. If you are under investigation, or have been charged with health care fraud, you need the experienced health care lawyers at Oberheiden, P.C. Our lawyers have over 100 years combined experience defending individuals and entities targeted for fraud. Federal agencies, such as the FBI, Office of the Inspector General, and the Department of Justice are actively pursuing health care fraud violations in the Alexandria community. This active pursuit from these federal agencies for fraud stems from the billions of dollars lost every year as a result of health care fraud. Health care fraud and the laws and regulations that define it, are extremely complex; therefore, it is critically important you hire an experienced attorney who is well versed in the intricacies and health care fraud investigations. The above list is not exhaustive but represents the more typical actionable health care fraud offenses. A federal prosecutor must prove that an individual or entity committed a fraud offense intentionally. Sometimes health care providers make mistakes in their billings or in other areas of their practice that could fall into the purview of fraud. However, to be a prosecutable fraud, providers must intentionally and knowingly want to deceive the government. If health care fraud is proved under the federal statute of 8 U.S.C. §1347, the penalty of conviction can be a prison term of up to 10 years. False Claims Act: This act allows the federal government to prosecute providers for intentionally overcharging the federal health care trusts. Stark Law: This law allows the federal government to prosecute providers for referring patients to an entity in which they have a financial interest. Controlled Substances Act: This law allows for providers to be prosecuted for illegally prescribing and/or selling controlled substances. Anti-kickback laws: The laws under this statute allow for providers to be prosecuted for accepting bribes in return for generating Medicare business. Health care fraud, while generally a federal issue, can also be a problem for providers at the state level. If an Alexandria provider accepts Medicaid patients, that provider is subject be prosecuted by the Commonwealth of Virginia. Medicare is a federally run program, but Medicaid is both a federal and state program. The Medicaid Fraud Control Unit prosecutes providers who intentionally defraud the Virginia Medicaid program. If you are under a state investigation by the Medicaid Fraud Control Unit, you need to speak with an attorney at Oberheiden, P.C. Our Experience: Our firm has successfully handled thousands of cases involving health care fraud. We have former federal prosecutors on our team that know how the other side works and know what tactics the government will try to use against you. Our team of attorneys is not afraid to take your case to trial if success in the case depends on it. Together, our lawyers have over 100 years combined legal experience in federal health care matters and have tried over 500 federal trials. Proven Track Record: Our lawyers have helped hundreds of providers achieve favorable outcomes in health care fraud cases. Some of these favorable outcomes include: stopping an investigation from turning into an indictment; restoration of medical licensure, mitigation of large fines and negotiation for no prison time. Our team at Oberheiden, P.C. implements proven strategies to help our clients achieve positive results. Representation is Customized: Our lawyers know that no health care fraud case is the same. We tailor our representation to best fit the specific needs of your case. We are aggressive in our defense and will explore all possible options for achieving the results you expect. If your Alexandria health care business, practice, or organization is currently under investigation, please call Oberheiden, P.C., to schedule an initial consultation with a skilled Alexandria health care fraud defense attorney. Our team can immediately get started on your case to mount an effective defense or help you create a compliance program. We have over 100 years of combined experience in defending clients against charges that can result in imprisonment, significant monetary fines, and damage to their reputations. Call us today at (888) 519-4897 or contact us online to schedule your confidential consultation.